The second installment of the Presidential Lecture Series, hosted by President John L. Anderson, will be held on Tuesday, January 15, 2013. John W. Rowe, chairman of the IIT Board of Trustees and chairman emeritus of Exelon Corporation, will introduce the lecture entitled “Energy Outlook for North America and the World,” presented by John M. Deutch. For the past forty years, the United States and the world has been struggling to define and maintain an effective and equitable path to a rational energy future. The challenges of avoiding climate change, beginning the transition away from dependence on fossil fuels, and achieving energy security are daunting. History does not encourage optimism, which means it is even more important for leaders to squarely face the problems and craft policies and programs to solve them. Contact the President’s Office by Tuesday, January 8, 2013, to RSVP. Please phone 312.567.5196 or email hmatson@iit.edu. John Deutch is an Institute Professor at the Massachusetts Institute of Technology. Dr. Deutch has been a member of the MIT faculty since 1970, and has served as Chairman of the Department of Chemistry, Dean of Science, and Provost. Dr. Deutch has published over 160 technical publications in physical chemistry, as well as numerous publications on technology, energy, international security, and public policy issues. John Deutch served as Director of Central Intelligence from May 1995–December 1996. From 1994–1995, he served as Deputy Secretary of Defense and served as Undersecretary of Defense for Acquisition and Technology from 1993–1994. 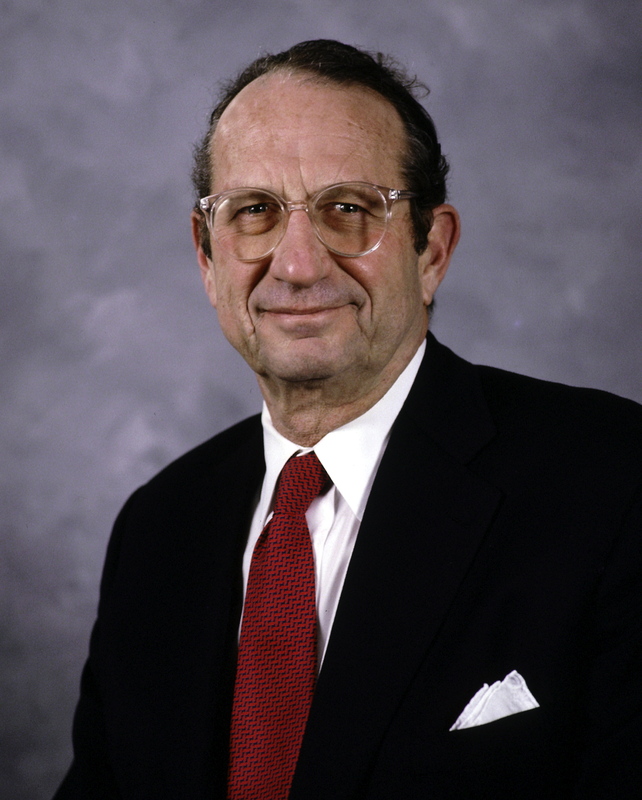 John Deutch has also served as Director of Energy Research (1977–1979), Acting Assistant Secretary for Energy Technology (1979), and Undersecretary (1979–80) in the United States Department of Energy. In addition, John Deutch has served on the President’s Nuclear Safety Oversight Committee (1980-81); the President’s Commission on Strategic Forces (1983); the White House Science Council (1985–89); the President’s Intelligence Advisory Board (1990–93); the President’s Commission on Aviation Safety and Security (1996); the President’s Commission on Reducing and Protecting Government Secrecy (1996–1997); and as Chairman of the Commission to Assess the Organization of the Federal Government to Combat the Proliferation of Weapons of Mass Destruction (1998–99). He was a member of the President’s Committee of Advisors on Science and Technology (1997–2001). He received the Aspen Strategy Group Leadership Award in 2004 and was the Phi Beta Kappa “Orator” at Harvard University, 2005. He is a member of the National Petroleum Council. In 2009 John Deutch received the MIT Gordon Y Billard award: “… for special service of outstanding merit performed for the Institute.” He is a member of the Secretary of Energy Advisory Board and chaired the 2011 Secretary of Energy Advisory Board Subcommittee report on unconventional gas production. John Deutch serves as director for the following publicly held companies: Cheniere Energy and Raytheon. He is a trustee of the Center for American Progress, the Museum of Fine Arts, Boston, Resources for the Future, and the Massachusetts General Hospital Physician Organization.